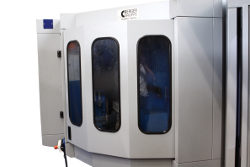 Different kind of machining can be achieved such as flat bevel grinding, surface and radii grinding, serrated edge grinding, scalloped grinding, sharpening, glazing or hollow grinding. 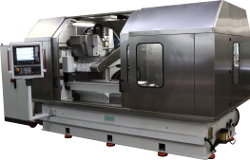 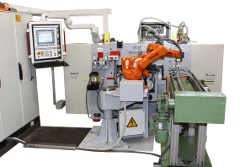 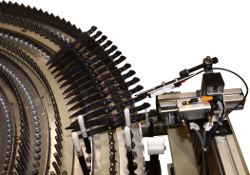 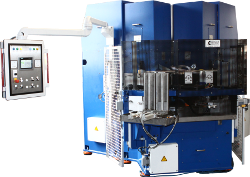 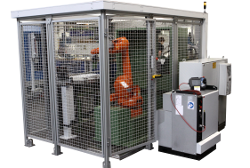 The machines are mainly employed in the cutlery, the machine knife and the tool industry. 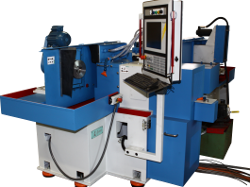 flat bevel, rotary table, peripheral, rotary index table, hollow, glazing, contour and sharpening. 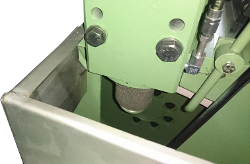 scalloped or pointed serrated grinding. 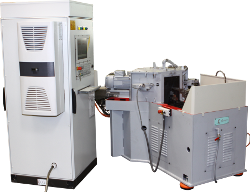 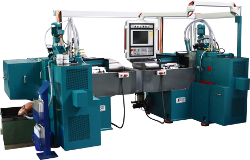 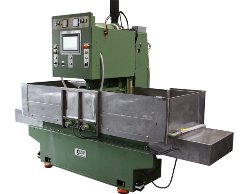 The rotary index table grinding machine of the series ZS machines forks with two, three or four tines. 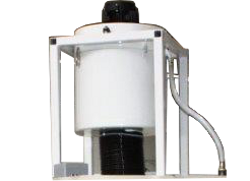 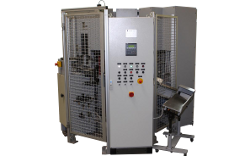 By the use of a folded grinding belt the run-out radius is ground cleanly. 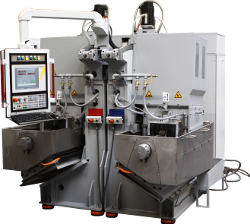 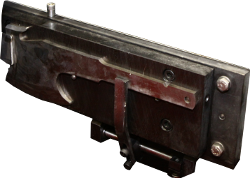 The design of the loading/unloading magazines is chosen depending on the required capacity, the shape of the workpiece and other parameters. 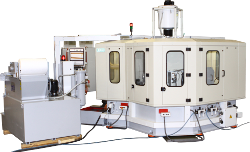 Depending from the type of grinding machine and application the Berger Gruppe offers different dressing systems for peripheral grinding wheels and cup wheels. 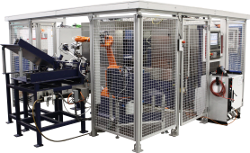 In combination with grinding machines the Berger Gruppe offers a variety of different designs for cleaning systems for grinding emulsion. 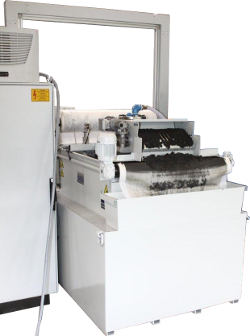 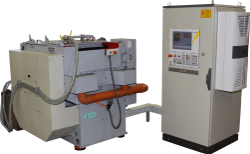 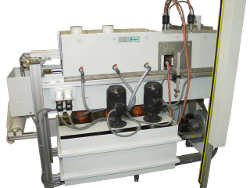 For the cleaning/drying of workpieces a cleaning and drying station can be integrated into the machinery. 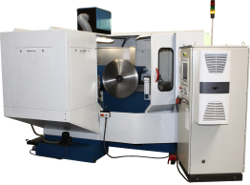 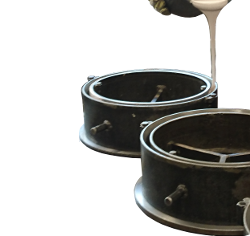 In addition to grinding machines, BERGER is manufacturing and selling a variety of peripheral and cup wheels. 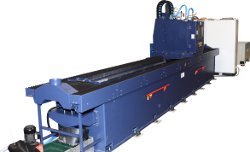 The Berger Gruppe offers full encasement for different series of grinding and glazing machines. 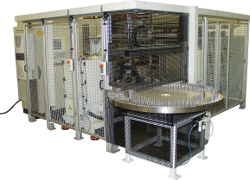 The Berger Gruppe offers a suction device to aspire cooling lubricant mists.